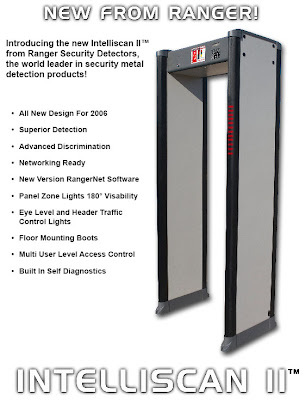 Dallas--In a refreshing departure from treating American’s like criminals, the Secret Service ordered metal detectors shut down allowing visitors to enter the Dallas Convention Center without submitting to the unlawful indignity. The crowd was friendly and obviously Senator Obama was not the worse for wear. Dallas police officials were shocked at the action calling the action a security lapse. Of course 44 years ago President John F. Kennedy was shot dead as he rode in an open limousine on a Dallas street. The Secret Service struck a giant blow for freedom and Liberty. The pernicious practice of searching Americans everywhere they go anymore is contrary to our Bill of Rights. No American should ever be searched to do business with his own government, travel or attend sporting and entertainment venues. As a security expert I find little benefit for the frisking that does nothing but give some people a really false sense of security. The efforts of police and security officials are better used on the behavior profiling or their attendees and observation. I would support any politician that would seek to return the Fourth Amendment to Americans. I guess we forgot about the Freedoms and Liberty that so many millions of Americans fought or died protecting in all of our wars. This elections will be the most important one on guns. We might not get a real conservative president this time around, which is why we need to start looking at our local officials to fight the next wave of anti-gun bills. I created a good starting point for Maryland and Pennsylvania at www.birster.org. While your their, please sign my petition to support HB2. Crazy idea But; Maybe they (secret service) don't care if they lose O'Bama. Would Hillary agree? What would be the outcry if he were to be assinated? Would they admit a lapse in judgement for turning them off? This crazy theory could take another 50 years to un-ravel.